Sgt. 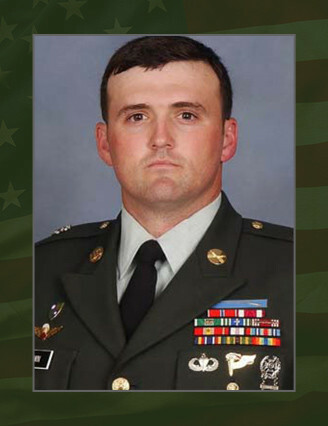 1st Class William R. Brown, 30, a Special Forces weapons sergeant assigned to 1st Battalion, 3rd Special Forces Group (Airborne) at Fort Bragg, N.C., died Nov. 6, 2006, when an Improvised Explosive Device detonated near his Humvee in the Panjwayi district of Kandahar. A native of White Settlement, Texas, Brown enlisted in June 1994 as an infantryman. His first assignment was with 3rd Battalion, 75th Ranger Regiment, Fort Benning, Ga., where he served for seven years. He held numerous positions there, to include squad leader and operations sergeant. Brown then successfully completed a two-year tour in Dallas, Texas, as a recruiter. He attended the Special Forces Qualification Course in 2004 and was assigned in October 2005 to 1st Battalion, 3rd SFG (A), as a weapons sergeant, where he served until his death. His military education included the Special Forces Qualification Course, Ranger Course, Combat Diver Qualification Course, Survival, Evasion, Resistance and Escape Course, Special Forces Assessment and Selection Course, Basic Airborne Course, Jumpmaster Course, Pathfinder Course, Jungle Warfare School, Recruiting Management Course, Primary Leadership Development Course, Basic Noncommissioned Officer Course, Advance Noncommissioned Officer Course Basic Combat Training, and Advanced Individual Training for Infantryman. His awards and decorations included the Bronze Star Medal with V (valor) device, Bronze Star Medal, Meritorious Service Medal, Army Commendation Medal, Army Achievement Medal, the Army Good Conduct Medal, National Defense Service Medal, Afghanistan Campaign Medal, Global War on Terrorism Expeditionary Medal, Global War on Terrorism Service Medal, the Noncommissioned Officer Professional Development Ribbon, Army Service Ribbon, NATO Medal, Combat Infantryman Badge, Expert Infantryman Badge, Senior Parachutist Badge, U.S. Army Recruiter Badge (silver), Ranger Tab and the Special Forces Tab. He is survived by his wife, Audra, stepson, Trenton and daughter Emily of Hope Mills, N.C. His mother, Anita Walton, of Boyd, Texas, also survives him.